Bloomberg reports that, after suffering the slow drip-drip-drip of losses throughout 2017, Pravit Chintawongvanich, head of derivatives strategy at Macro Risk Advisors, estimates that the trader dubbed “50 Cent” (a play on the rapper known as “50 Cent,” Curtis Jackson), has made nearly $200 million total on this trade since the start of 2017 -- thanks to a swing of $400 million in a single month. 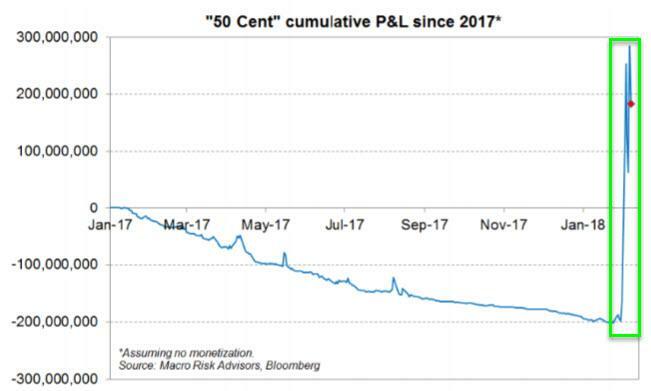 "At one point, ‘50 Cent’ became ‘30 Cent,’ scrimping on his usual VIX option purchases, unwilling to pay up for the 50 cent VIX options that were his namesake," Chintawongvanich wrote. "But in early February, when it seemed like Fiddy’s fortunes could go no lower, it came: redemption." 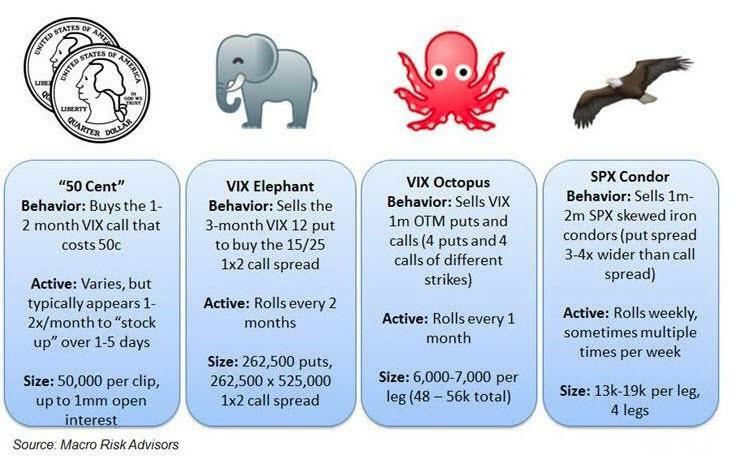 Meanwhile, Bloomberg points out that the so-called VIX Elephant has gone the way of its relative, the woolly mammoth: It’s now extinct. This trader, who put on massive VIX call spread trades while selling puts to benefit from a rise in volatility, has closed out all of their positions to earn a net $40 million on the trade. According to Bloomberg, Chintawongvanich offers a small silver-lining in that he expects some semblance of return to normal... but it will be a different normal. “We expect lower realized volatility in VIX futures, and by extension lower implied volatility in VIX options now that the ‘blowup risk’ is gone,” he writes.